This post is part of a content series presented by smartwater… smartwater, good taste travels well. Click here to learn more. The opinions and content in this post are 100% NOTCOT, smartwater is supporting us to share what we love with you! Often, the best types of travel takes you unexpected places to experience things you couldn’t even imagine! Next up for NOTCOT is Linz, Austria! 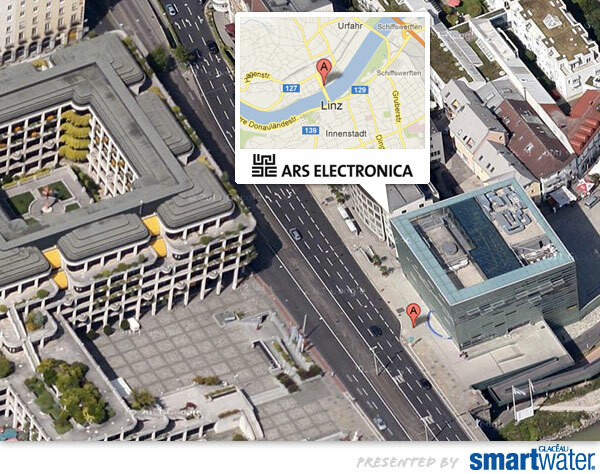 We’re thrilled to head to the annual Ars Electronica Festival for Art, Technology, and Society August 30 to September 3rd… where the some of the world’s most incredible cutting edge artists, technologists, designers, scientists, thinkers, and more will come together. From exhibitions, to talks, to getting to see incredible interactive projects we’ve only seen online in person… and a chance to meet the people behind them! While an award for the Free Universal Construction Kit is what is bringing Shawn and I to the festival, between preparing for his talk and designing the display for the toys, we’re starting to get giddy about projects we’ll get to see at the Ars Electronica Festival… take a peek at some of the incredible projects on the next page! Geography Lesson! 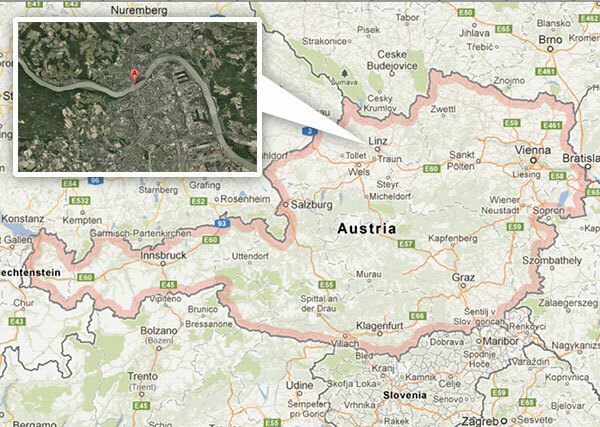 Here’s where Linz is! Have you been? Any suggestions on things to do?!?!?! I’ll have quite a few days there to explore! 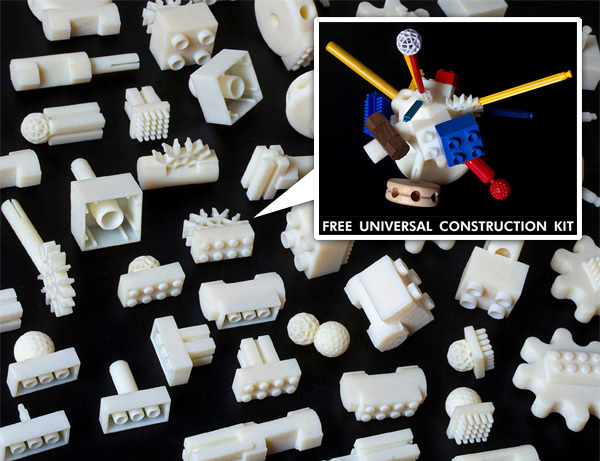 Here’s what is bringing us to Ars Electronica Festival… Shawn Sims and Golan Levin’s Free Universal Construction Kit! Open source 3D printable toy adapter pieces to connect your Legos to your Lincoln Logs and so many more! Markus Kayser - Solar-sintering aims to raise questions about the future of manufacturing and triggers dreams of the full utilisation of the production potential of the world’s most efficient energy resource - the sun. Whilst not providing definitive answers, this experiment aims to provide a point of departure for fresh thinking. Nova Jiang - Ideogenetic Machine is an interactive installation that incorporates portraits of participants into an algorithmically generated comic book. A camera captures the portrait live while an algorithm transforms the photographic image into a “line drawing”. Face recognition is used to insert code-generated blank speech bubbles into the narrative. Jeff Desom - Hitch; Rear Window Loop is a visual stitch of Alfred Hitchcock’s infamous film. The installation loops the entire courtyard’s action from one view. CALDERA is an animated short film inspired by individuals struggling with psychotic disorders, and venerates the brilliant minds forged in the haunted depths of psychosis. 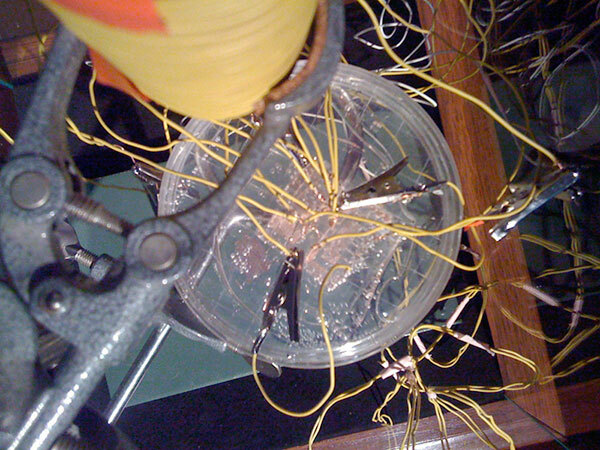 Joe Davis - Bacterial Radio exhibits several bacterially-grown platinum/germanium electrical circuits (crystal radios) on glass substrates. Joe Davis, in collaboration with Ido Bachelet and Tara Gianoulis from Harvard Medical School in Boston, used bacteria altered with variants of a gene from orange marine puffball sponges (Tethya aurantia) to plate electronic circuits on Petri dishes and microscope slides.